Stella was created for our own use and conceived as a sans that could be used as a serif typeface. Stella was used it as the text font for Surf Portugal magazine and in many bilingual works as a matching sans for some popular serif fonts. 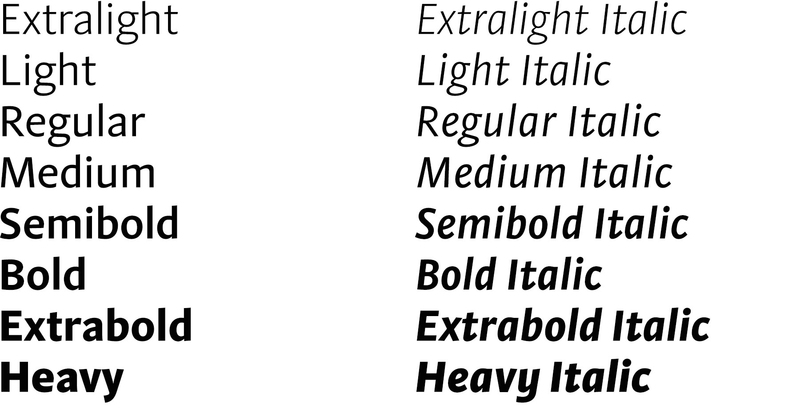 Stella is available in eight weights in Roman & Italic.